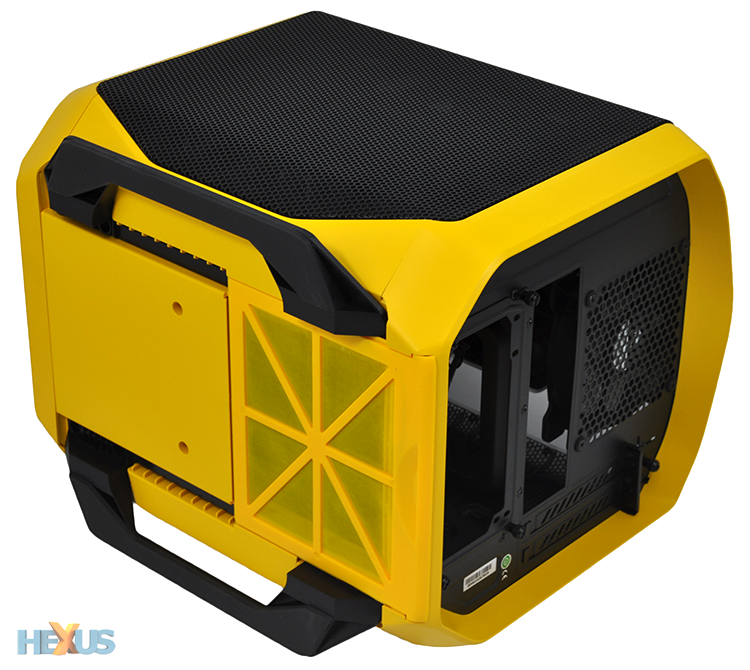 Corsair's chassis guru, George Makris, was keen to show off the company's latest wares at Computex in June, and we're now starting to see the various cases make their way to retail. The Carbide Series Air 240 was first to arrive, and left us suitably impressed, but up next is the one that has really been catching our eye: the Graphite Series 380T. 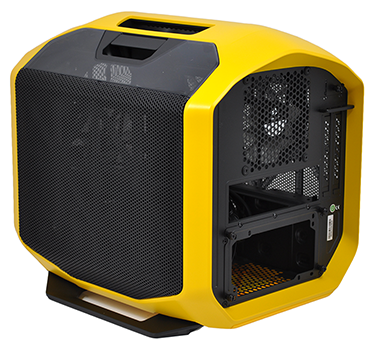 It's no secret that the Graphite Series is one of our favourite Corsair product lines to date. The original 600T, dating way back to 2010, is still a preferred choice for test platforms around these here parts as a result of its quick-release side panels and sleek, curvaceous exterior. And, though it's now a few years old, the 600T still looks terrific in white. But Corsair hasn't yet been able to build on the 600T's momentum, so it's fair to say there's a lot riding on the 380T and 780T additions. After all, last year's 230T was far too basic and this year's 760T struggled to capture the imagination. The good news is that the 380T looks to be a return to form. 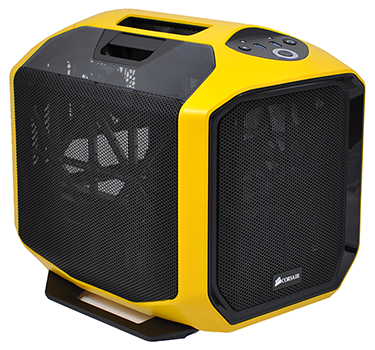 Priced from $129 (roughly £95 inc. VAT) and shrinking down to a Mini-ITX form factor, this cute, little enclosure has plenty in common with the original 600T, including rounded edges, quick-release side panels, and Hollywood aesthetics. If the 600T was a Stormtrooper, then the 380T is surely going to be known as Bumblebee. 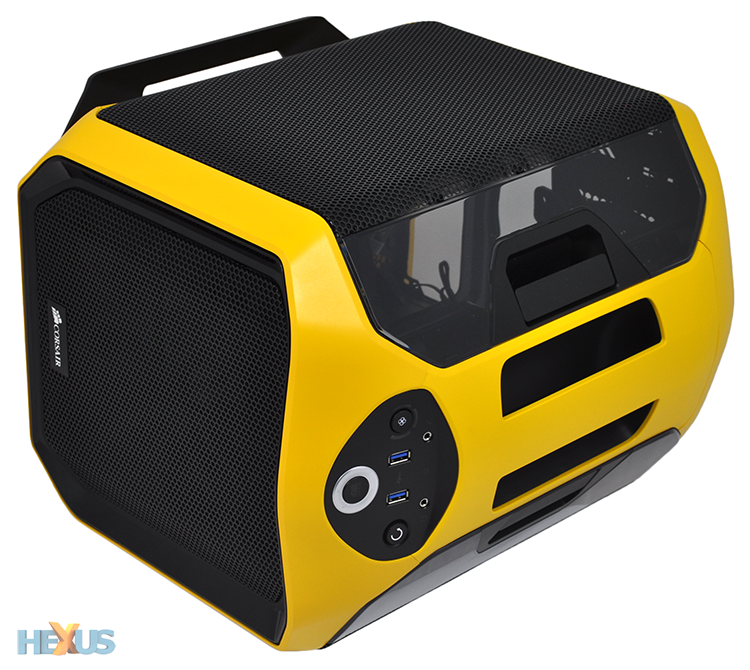 Corsair's yellow-and-black colour scheme is to blame, and truth be told, it isn't quite our cup of tea. It's too garish. Or we're just too old. Fortunately, white-and-black or all-black options will also be available, though Corsair fans may want to get acclimatised to yellow - it's a colour that we understand will feature prominently in many of the firm's upcoming products. Colour combinations aside, the key point here, we feel, is that the 380T looks like a proper Graphite Series chassis. It's fun, sleek, playful... all the things a Graphite Series enclosure should be. You could say it gives consumers a modded look, without the complication of having to carry out any actual modifications. Examining the somewhat bulbous exterior reveals a few interesting features. The integrated and reinforced carry handle on top is perhaps our favourite - it blends effortlessly into the case, is a good size, and has a textured underside to provide extra grip. If you tend to move your PC around, the handle will prove to be a godsend. The top I/O panel is also rather neat. Front and centre positioning is how we like it, and though the array of ports and buttons is simple enough - two USB 3.0, audio and microphone, fan speed, power and reset - Corsair has made an effort when it comes to styling. The audio jacks are accompanied by backlit indicators to help you find them in a dark gaming environment, and the start/stop power button takes design cues from a sports car. We've seen rounded Mini-ITX cases struggle with stability in the past, but no such mistakes have been made here, as two large, rubber-tipped stands help keep the chassis rooted to your desk. A pull-out filter sits just beneath the PSU bay and the chassis' mesh front face uses a push-to-release mechanism for easy cleaning. Corsair has a done a good job as far as exterior aesthetics are concerned, however we do have one bugbear: the 380T isn't quite as small as we'd hoped. Measuring 356mm (H) x 292mm (W) x 393mm (D) in size, it's relatively plump for a Mini-ITX solution, though that should mean bags of internal flexibility, shouldn't it?